Would You Benefit from Implant-Supported Dentures? Dentures and dental implants are both viable ways to replace missing teeth and bring your smile back to life, but which one is best for your needs? In some situations, your dentist can use a combination of the 2. Read ahead to see if you might benefit from implant-supported dentures. A dental implant might be the ideal solution if you’re missing one tooth. 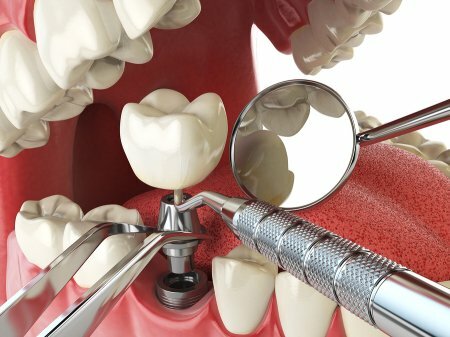 If you’re missing all of your teeth, however, you won’t want to replace each one with its own implant. This is why you should talk to your dentist about implant-supported dentures. This treatment uses just a couple of implants to secure your dentures to your mouth. When you do this, you’ll never have to worry about your dentures shifting around or falling out of your mouth. Instead, you can eat and speak with confidence. Not everyone is a candidate, so talk to your dentist to see if this treatment makes sense for you. If you’re wondering if implant-supported dentures near Hazlet could be right for you, call Glenwood Premier Dental at (732) 264-4477. Implant dentistry is one of our specialties, and we can help restore your smile and your confidence. Visit our website or stop by for more information. Gum disease is a common dental health issue, but that doesn’t mean it’s inevitable. By brushing and flossing your teeth and visiting your dentist, you can crack down on gum disease and enjoy better oral health. Here are a couple of ways to reduce your risk of gum disease. The main culprits behind gum disease are plaque and tartar. Plaque is a film of bacteria that accumulates on your teeth when you don’t practice proper dental hygiene. The longer you go without brushing your teeth, the more time plaque will have to cling to your teeth . Eventually, this plaque will turn into tartar, or calculus. 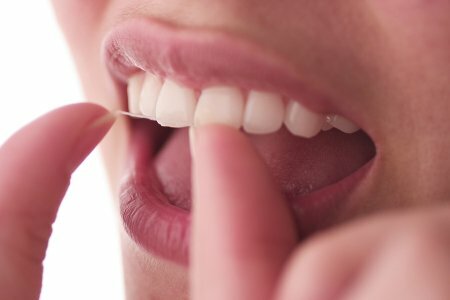 You can remove plaque on your own, but you’ll need your dentist to deal with tartar. See your dentist for a professional teeth cleaning before tartar invades your gum line and causes gum disease. Eating healthy can improve virtually every aspect of your health. When you trade in sugary snacks for healthier alternatives, you give your oral health a chance to succeed. Junk food—especially sticky snacks like gummies and taffy—will stick to your teeth and encourage plaque growth. Healthy snacks like celery, on the other hand, will have the opposite effect. They will actually help to clean your teeth and protect you from gum disease. Tobacco products can take away from every aspect of your health. Smoking cigars, cigarettes, or hookah can agitate your gums and contribute to the symptoms of gum disease. You can lower your risk of this common oral health condition by doing your best to stop using these tobacco products. It’s up to you to reduce your risk of gum disease , but it’s up to the dentists serving Hazlet to help you prevent it from occurring. The team at Glenwood Premier Dental is proud to protect people of all ages from gum disease. Visit our website or call us at (732) 264-4477 to make an appointment today. Even dentists have questions about oral health, so you probably do, too. 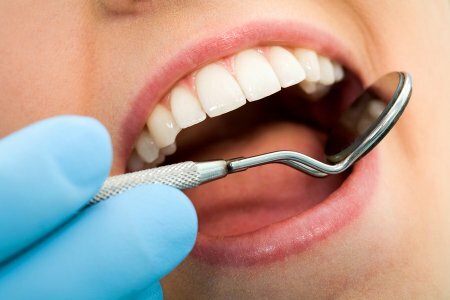 It helps to know what to do in an emergency situation and how often you should see your dentist, and it’s also good to know what your options are when it comes to cosmetic dentistry procedures like teeth whitening. Continue on for answers to your FAQs. How do I handle an emergency? The way you handle a dental emergency will depend on the nature and severity of the incident. If you have a tooth knocked out , pick it up by the crown and rinse it off before storing it in a glass of milk. When you chip or break a tooth and suffer serious pain during normal hours, call your emergency dentist so you can be seen—if it happens outside of business hours, call the offices anyway for an emergency number. You can find over-the-counter teeth bleaching products in most supermarkets and convenience stores, but know that these products won’t be as effective as visiting your dentist for professional treatment. You can go in for just a couple of hours and leave with a beautiful new smile, or you can talk to your dentist about overnight bleaching. The latter process takes about 2 weeks, so if you’re looking for quick whitening, in office is the best option. Some people think that they don’t need to see a dentist unless something is wrong, which is entirely untrue. You should be seeing your dentist at least twice a year in order to make sure your oral health is in good shape, which can help you prevent problems down the road. It’s also recommended that children see a dentist by their first birthday or the eruption of their first tooth. If you still have questions that need answering, call Glenwood Premier Dental at (732) 264-4477 or visit our website. It’s our job to offer only the best cosmetic and implant dentistry near Hazlet, and we handle everything from restorative care to oral cancer.